ABOUT THE AUTHOR: Mariah Obiedzinski is a freelance blogger for USCargoControl.com, an e-commerce company specializing in moving supplies for both professional and DIY movers. Clearing a path is a must! Not only should you get the snow out of the way, you should salt to prevent ice from forming. If someone slips carrying some boxes, they and the boxes are in for a bad time. Thanks for the tips! Great advice on staying hydrated. Sometimes it’s hard to tell when you need water in the cold but if you are working hard, you probably need to hydrate. Thanks for sharing. Thanks for the tips! I’m moving this winter so these tips will help me feel more prepared in case I have to move my things in icy and snowy conditions. Carrying emergency supplies with me seems like a great way to be prepared. You’re right, there are plenty of challenges that snow and ice presents, especially when moving heavy objects on the road. Keeping things like an emergency kit, water, snacks, and blankets will help me be prepared if anything happens. Awesome tips here. It is difficult to move during the frigid winter. The tip from above I really like is: “Carry emergency supplies.” It is always key to be prepared for the worst scenario. Especially during winter. This can save you hours of frustration and money. Thanks for posting this valuable resource! Nice post! I’m moving cross-country next month and I still haven’t started decluttering. I’m now planning and needed some more ideas on this move. Your tips are quite helpful for me and I’ll have them in mind while keep organizing stuff here. Thank you for sharing! Good luck with your move, Karen! Thank you very much for sharing these tips. Keep sharing. I’ve had to help my siblings move countless times, and I agree that you should get professional help when moving, because I’ve had some close call injuries. I also agree that you should watch the weather. I’ve never done it, but moving in the snow would be dismal! Great tips! Yes, do your research when looking for help. Call 3-4 movers. Get quotes from all and chat with them a bit to get a sense of who they are. Doing this may save you a lot of time and money in the end. Happy moving! I recently moved apartments and I live in a place that gets really cold and a lot of snow, layering was a must. I would add that if there is ice on the ground to make sure you are aware of that especially if you have to use stairs. Moving is hard enough as it is, winter conditions can make it tough so make sure you are wearing adequate clothing and being careful with your steps. I really like your tip about making sure that you watch the weather when it comes to moving in the winter. We are going to be moving in the next few weeks and we want to make sure that we do so safely. We have some things that we want to put into a storage unit for now so we will have to keep these tips in mind, thank you for sharing! I find it is really useful for me. Thank you so much for sharing winter moving tips. I will suggest your posts to my friends. Hope more people will appreciate your posts. Excellent and honest moving tips. I found this much useful information on moving in winter, Thanks for sharing this so interesting post! I want to be thankful for the way you have put it here. I agree that moving can be stressful and a little overwhelming sometimes. But it’s something that we can’t all avoid. I think that one of the biggest things that could help with a move is get help. Sometimes we’re stubborn and don’t want other people to help us out but it can be so nice! I think if I were to move that I would hire a moving company to help out with it. Snow does seem like it would make stairs distances hard to judge. 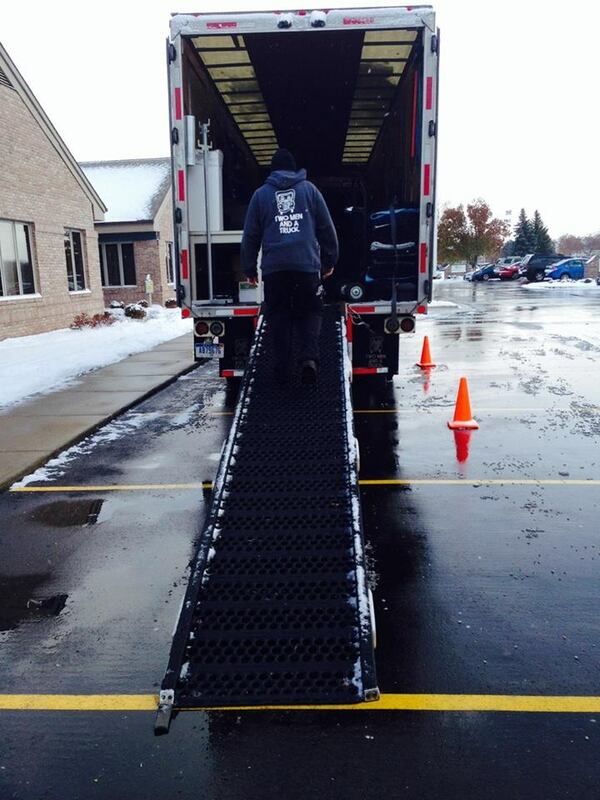 It seems like ti would help speed up the process as well if you movers aren’t worried about slipping on the ice. It might also be smart to have a rug or towel for them to dry their feet off with when they come back inside. Well, moving winter is not an ideal thing. It is just because roads are slippery and unsafe due to the occurrence of snow fall. So, it is better to take some precautions before relocation in winter. Your blog describes about some winter moving tips, which I find very useful. Apart from these, here in the following I want to share some suggestion which may help everyone during relocation in winter season. 1)Check the weather report and plan accordingly before taking final decision. 2)Hire a professional mover and finalize the date by making some warm discussions. 3)Organize the stuff ahead of time. 4)It is better to move early on the date which has already been decided. Etc. Thank you for sharing such a lovely blog. I liked this blog very much informative. The best thing in this is to in this blog we can see that you have shared us the information from step by step according the weather and etc. This helped me out to move my stuffs from the moving company. I really like your tip about making sure that you watch the weather when it comes to moving in the winter. Like you said, the temperature can change quickly and ice can form quickly. We are going to be moving in January of next year so we will have to keep these tips in mind. I think hiring a moving service to help us with the process would be really helpful. Especially if we are moving in the winter. Thank you so much for sharing! Thank you very much for the tips. Moving at any time of year can be stressful, but it can be even tougher when you have to move during the winter months. I liked that you talked about how it would be a good idea to watch the weather. It does seem like a good thing to have an idea of what the weather will be like. It might be a good idea to have a plan for it if rains or snows on the day of the move. We have to move soon and we wanted to look up some tips on how we could move the best. That’s a great idea to make sure that the company we pick to help us move has a great track record. We wouldn’t want them to have a bad one, especially in the winter time where even more accidents can happen. Thanks for the tips! Moving process is more hard and stressful, if it is winter no more words to explain it. This awesome post explains the moving process in an easy flow and it will be very useful while moving. You mentioned about the minute things like Warm dress, Raise the glass, Watch the weather and Clear the path where we have to concentrate and I liked that very much. Thanks for sharing. Thanks for these moving tips in the winter. I’m glad that you mentioned that you should make sure that there is a clear path outside, especially if it makes moving easier. It sounds like it could be good to do this before packing up your snow removal equipment. Moving in the winter season is a stressful work. While moving to the winter, we have to take care of many things. We can not move when weather gets worse. I like the caring information you provide to your articles. From your blog, I know about good information and new Ideas, which will be helpful to the time of moving. Thank you for sharing. Moving can be stressful and a chore any time of the year, but winter moving is especially tiresome when you have to deal with snow, sleet, ice and freezing temperatures.